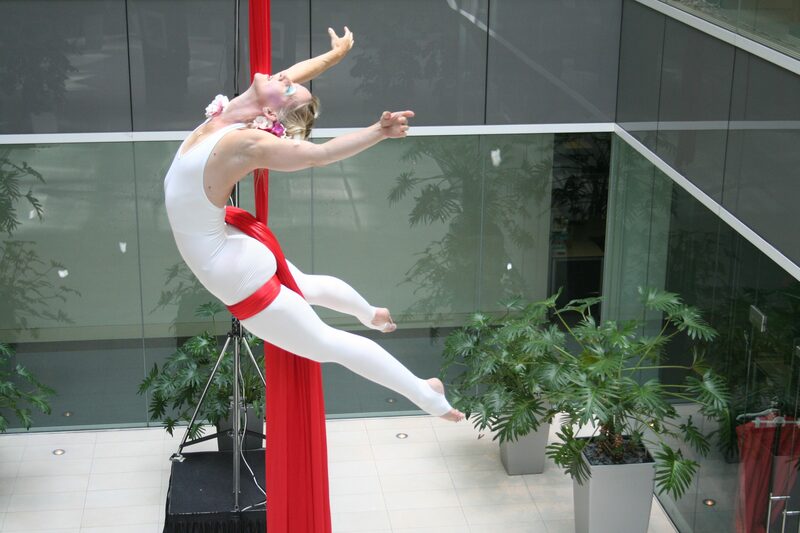 Circus develops confidence in individuals and teams. It encourages people to work together, build strong mutual trust and overcome their fears by challenging them to achieve an end goal. 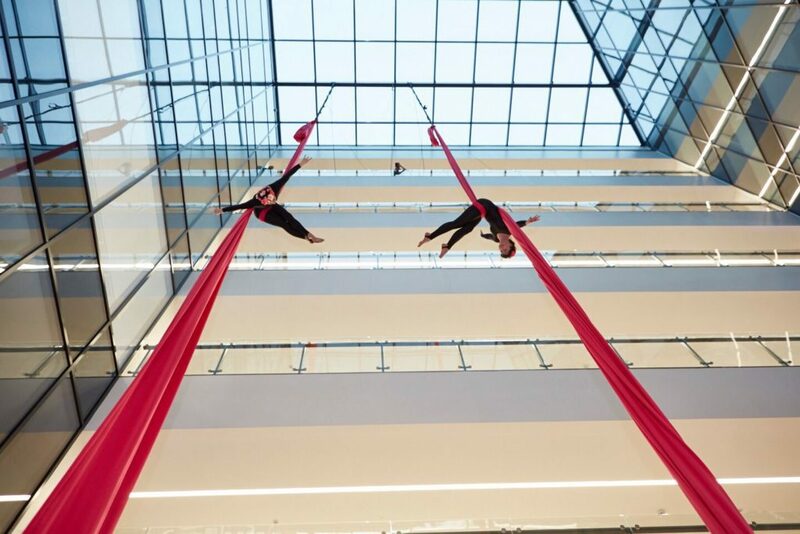 Upswing delivers unique training both one-on-one and for groups in aerial techniques including trapeze, silks, aerial hoop and rope, as well as ground-based circus skills like acrobalance, tumbling and acrobatics. Packages can be tailored to fit your organization, suitable for all ages and fitness levels they are a special opportunity for valuable team building. 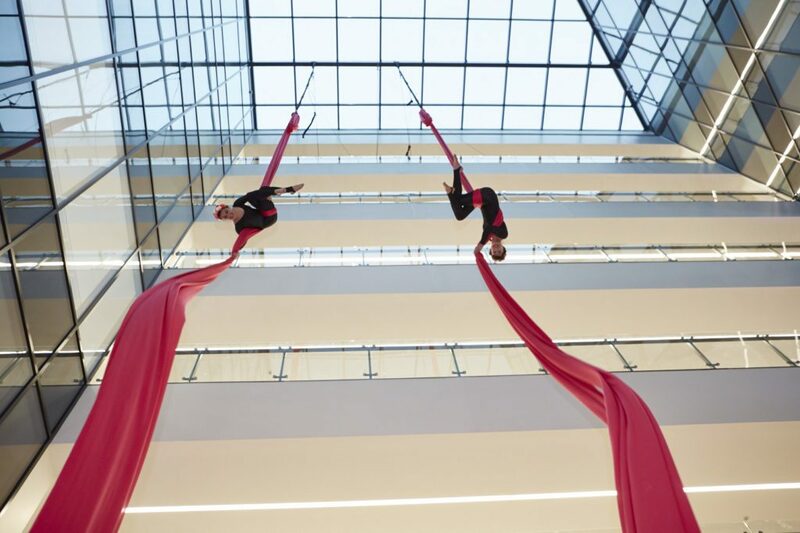 Whether for a party, corporate event or product launch, Upswing combine the very best creative imaginations with the most skilled artists to ensure your celebration is unforgettable.